Oba of Lagos, Rilwan Aremu Akiolu is in the news for the wrongs reasons again. 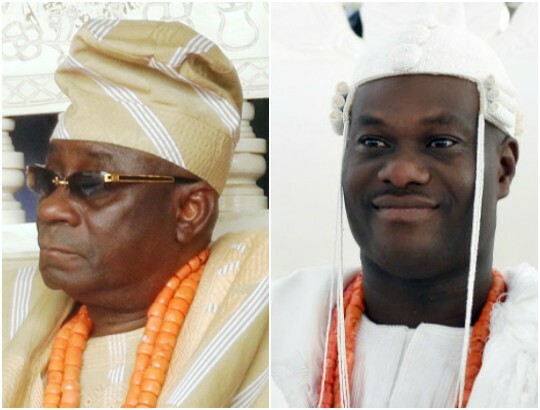 Looks like there's been a silent feud between he and Ooni of Ife, Oba Adeyeye Enitan Ogunwusi. In a video which has gone viral on social media, Oba Ogunwusi is seen walking into an event with the Oba of Lagos already seated. Ooni of Ife makes to greet the dark shades wearing Oba of Lagos. Oba Akiolu turns his face and shows him the don't come closer sign.